Screen printing is a technique of printing in which mesh is used in conjunction with a squeegee to transfer ink onto a substrate (In our case, apparel). This is one of the most common practices for garment decoration. Screen printing offers a wide variety of applications, inks and flexibility when it comes to decorating apparel. We don't like to limit ourselves to just one style of ink here at NJ Print-Wear. We offer everything from standard plastisol inks, to water based/discharge inks, even foil and metallic inks. Our mission is to help you achieve the look and feel that you desire and deserve. If you aren't sure which ink, fabric or printing style is right for you - we are happy to give you a free consultation and we'll do our best to not only explain the difference, but to show you the difference as well! Plastisol is the most commonly used ink for apparel screen printing due to its versatility. The majority of the prints we produce use Plastisol inks. Water based ink is a great way to achieve a soft hand on light fabrics or a distressed/worn look on dark fabrics. Discharge ink is an additive we put in the water based ink to make the colors more vibrant on dark fabrics, yet maintaining that soft hand feel. These inks are commonly referred to as 'Fashion inks'. Foil printing is a 2 step process. The design is screen printed onto the garment with a clear adhesive. The foil is then heat sealed over the image, resulting in a flashy, reflective print. Printing on athletic garments isn't something all screen printers do, and many that do offer the service - don't do it well. We make sure to use proper polyester performance inks and take extra precautions when printing on athletic garments. We're not afraid to try something different! Printing on shirts doesn't always have to be in the obvious locations. 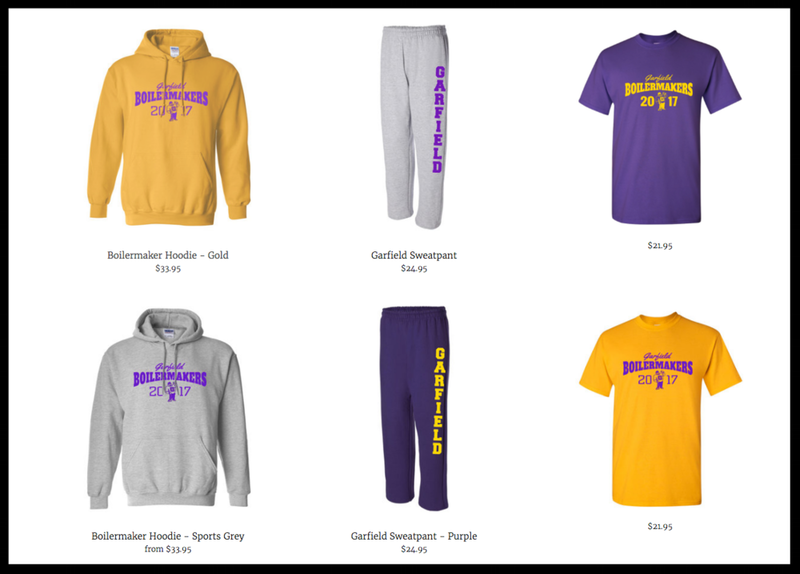 These web stores are a great way to sell pre-decorated apparel in order to raise funds for an event, charity, sports team, school, etc. The best part is, we do all the fulfillment! Together we will work on a custom design. Once it is approved, we will setup a web store that can take pre-orders of the product(s). When the funding goal is reached or the campaign ends, we will print and ship out the shirts to all the end buyers and then we will send you a check for what you earned during the campaign. All you need to do it get the word out via social media with the link we provide you. We offer contract screen printing services for embroidery shops, sign companies, marketing firms and authorized promotional products distributors. E-Mail us for our contract pricing list. If you need anything specific that was not listed - let us know and we will do our best to fulfill your needs!